Judges presiding in cases of DUI in Los Angeles may be more inclined to show clemency when defendants express true remorse for their actions and make a sincere effort to turn their lives around. But they’re less likely to be merciful when a defendant demonstrates that he continues to demonstrate the same behaviors that got him trouble in the first place. Kenneth Jenkins recently learned that lesson in a Florida courtroom. The Palm Beach Post reported that Jenkins, convicted of causing the deaths of three people in a March 2008 DUI-related accident, asked for a reduction in his 33-year sentence. Circuit Judge Charles Burton denied that request. Three years after his arrest, Jenkins, now age 33, pleaded guilty to DUI and to driving the wrong way on Interstate 95 near Delray Beach. His black Pontiac GTO caused a series of accidents before it eventually slammed into a 2008 Mercedes, killing three of the vehicle’s four occupants. The case dragged on while Jenkins’ original attorneys tried to determine whether the Mercedes’ driver had also been partly at fault for the accident. Jenkins hoped that by pleading guilty, he’d get leniency from the judge. But then a video surfaced showing him playing beer pong in a local bar just a few weeks before his sentencing. The trial judge said if Jenkins had been truly remorseful, he would have stopped drinking. In his appeal of the long sentence, Jenkins said his original lawyers were partly to blame for the beer pong incident, since they had drawn the trial out so long, giving him time to get into trouble. The appeals judge didn’t buy that argument and let the sentence stand. 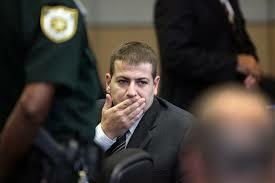 Florida laws require a minimum mandatory sentence of four years behind bars for a DUI manslaughter conviction. California Penal Code 191.5, which covers vehicular manslaughter while intoxicated, requires a minimum sentence of four years if the driver acted with gross negligence. But DUI drivers can get away with as little as a year or less in county jail if the driver acted with ordinary negligence.